It’s the run up to Christmas which means work do’s, nights out, family get-together and that all important new outfit. In the next few weeks you’ll rack up a great amount of socialising, you’ll eat a vast amount of buffets and drink copious amounts of wine, Your home will also feel the effects of the festive period. It’s this time of year when the dining room becomes a party haven. Your table will be full to the brim with food, emergency chairs are rounded up and your favourite glass collection makes an appearance. If your home becomes ‘dinner-party central’ this time of year you need to make sure it’s oozing with some shimmer and sparkle. 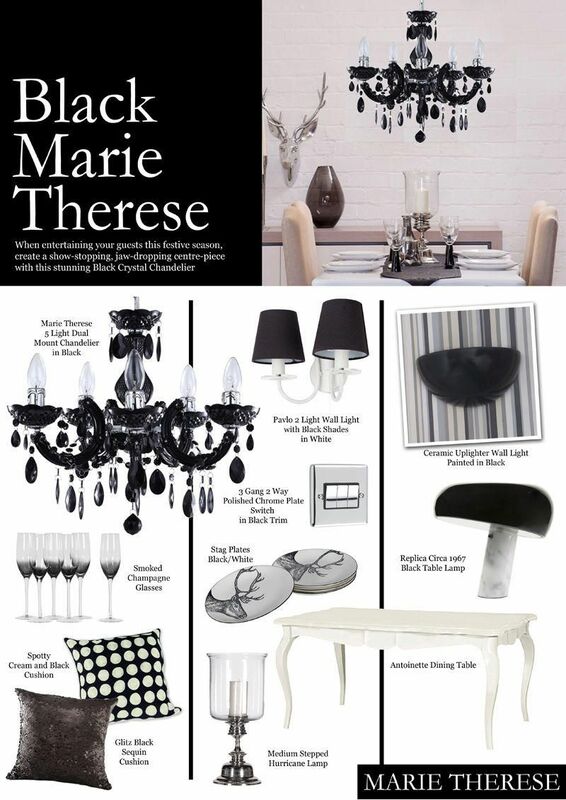 Create a show-stopping, jaw-dropping centre-piece with our Marie Therese 5 Light Dual Mount Crystal Chandelier in Black. Any chandelier suspended above a dining table will instantly give your interior that wow factor, but our Marie Therese in black has a little something extra special. With it’s mixed combination of traditional and contemporary this fitting will compliment any interior but for today’s look book we chose the monochrome trend. This trend isn’t for the faint hearted, monochrome is a bold colour scheme usually comprising of two or three colours. For this look, it’s all about the dining table, dressing it up then showering it with a glistening illumination from above. For our look book we went for a white table with black and chrome accessories laid out ready for your guests, a runner will add a glamorous touch too. We kept the lighting minimal and let the chandelier take centre stage. 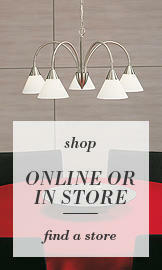 But if you fancied some extra accent lighting try to keep to the monochrome colour. To create pools of light across your walls or to illuminate photos and artwork try out our Ceramic Uplighter Wall Light and paint it in a colour of your choice. For a monochrome décor we opted for a black gloss finish to compliment our chandelier. Alternatively our Pavlo 2 Light Wall Light with Black Shades in White will add double the illumination and comes in a classic design with both white and black monochrome colours.